At the beginning of the school year, knowing I was intending to use lots of googledoc type applications and wanting to encourage pupils to have personal emails and “professional” emails, I asked them all to create a gmail account. 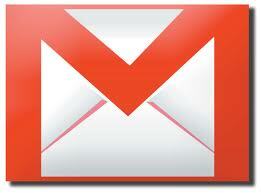 Once this was done, we could then proceed all throughout the year, using gmail as the mode of communication. I have a separate gmail account for each class I run, beginning a new one each year I found this works for me because I do not get lost when lots of classes are sending me work, messages, recordings at the same time. I know it is possible to set the filters on gmail to get the in-box sorted automatically, but I have never managed to get that organised. I have an alert on my smartphone for each of my class addresses, so when the pupils send me messages, I am alerted and so I don’t have to be checking my mails for all my addresses on a regular basis as I only open the boxes when I know there are messages there. I have an automatic reply system set up, so the pupils receive an automatic message when thier message arrives. This avoids the “Did you receive my message ?” question that I was constantly getting. if they have had an automatic reply, they know the message is in my in-box. I do not have shares in google and while there are aspects of google that bother me, I find the convenience of the email aystem has yet to be equalled. I was also a big fan of google sites for several years until I moved on to this current blog.